Plantar fasciitis is an injury that is commonly found in runners. It involves inflammation and pain of the plantar fascia, which is a band of tissue that connects your heel bone to the toes running across the bottom of your foot. It can be caused by several different factors. More on that, as well as other useful information on plantar fasciitis, you can read in our guide under the tables and reviews. If you are one of the people who suffer from plantar fasciitis and heel spurs but still itching to get out there for a run, or just to prevent plantar fasciitis, you can start by getting the right athletic shoes that will provide the needed support, comfort and stability for your feet. So if you’ve been searching for what are the best running shoes for plantar fasciitis and heel spurs, to help you with that we have compiled a comparison chart and list of the top products in 2018. Below you can view separate comparison charts of shoes for women and men. Under them you will find reviews, and further below an informative guide if you wish to better understand plantar fasciitis. 4 What Is Plantar Fasciitis? 5 What Causes Plantar Fasciitis? 8 Can You Run With Plantar Fasciitis? With the Saucony Guide 7 workout shoe you get great forefoot comfort, good support, and stability, as well as super durability. The midsole features the compressed EVA foam, PowerGrid inserts, and the integrated firmer density medial post. The firmer midsole is firm, but not hard and aids to providing a good level of stability. The sole unit of the Guide 7 also features the lighter and more durable PowerGrid material that absorbs the impact of the ground. This adds to the resiliency and responsiveness of the workout shoe. The forefoot has a roomier toebox and provides stable and smooth propulsion. The shoe also has a redesigned midfoot shank with strategically placed crash pads that provide more support for the overpronators and give a smoother heel to toe transition. The heel to toe drop measures 8 mm, which makes it a bit more friendlier for midfoot and forefoot strikers compared to traditional 12 mm. The Saucany Women’s Guide 7 also features a durable outsole with plenty of hard wearing rubber on the toe tip and heel, as well as blown rubber in the forefoot. 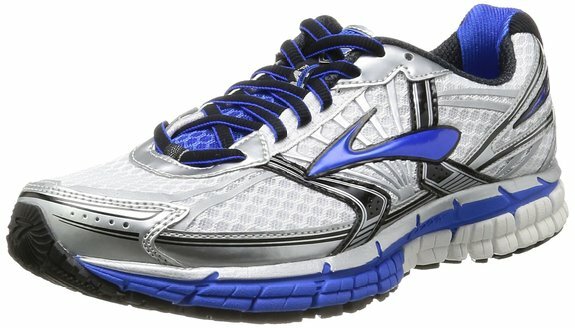 Pros: great support for everyday running with a redesigned midfoot shank that gives great support and smooth transition, lightweight, plenty of room in the toe box, well cushioned forefoot and heel, great forefoot comfort, amazing durability, responsive toe-off, excellent support, and stability. Cons: comparatively higher price tag. 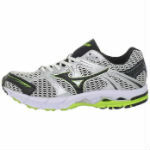 Mizuno Wave Alchemy 12 is also a good running shoe for plantar fasciitis caused by overpronation. It’s just as good for walking if you have plantar fasciitis or heel spurs. It features a flat midsole, wider base, high support for the heel. All this delivers the structure perfect for serious overpronators and heavy runners. This is a motion control running shoe that is stable, comfortable and provides a corrective effect for your feet. The shoe uses a wave plate design that provides good support, dissipates impact, and slows the inward roll of the foot, which is the common issue of the overpronating feet. Mizuno provides plenty of the cushioning compound in the heel, while the AP+ foam provides good shock attenuation. Most of the outsole is made from heavy duty carbon rubber. For the lateral forefoot, it uses softer blown rubber. The result is extra stability under the medial side of the foot. The rock solid support of these workout shoes will provide you with the much needed relief for your feet. 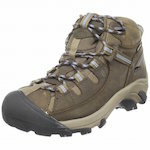 They are also suitable for running on different surfaces, including trails and rougher terrain. 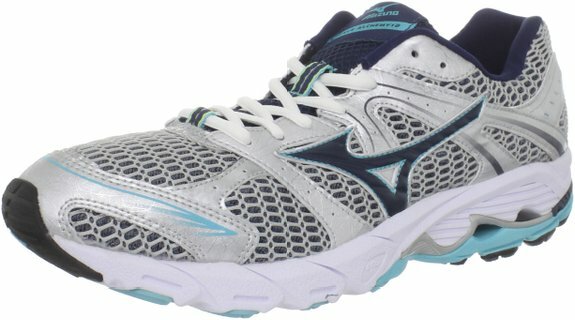 Pros: light and comfortable (perfect even for long distance and marathon runners), better traction, supportive heel, plenty of space for toes, flexible and breathable upper, Wave Plate technology for shock absorbency and support of the arch, excellent stability, motion control, smooth and solid ride, and affordable price. Cons: bulky size (though lightweight). 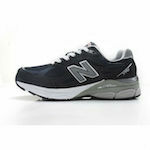 New Balance 990V3 is also one of the top rated shoes for plantar fasciitis. It features a classic look with a design that is suitable for most foot types. 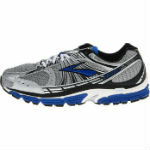 This athletic shoe offers a lighter weight, good shock absorption, great support, and cushioning. The forefoot features a blown rubber that provides lightweight cushioning. The mesh inserts in the upper also add to the reduced weight and also gives better breathability. The dual density collar consists of the firmer density foam for support and softer density foam for cushioning. So the foot feels stable, but at the same time well cushioned. The midsole also features Abzorb cushioning for shock absorption in the midfoot area. Additionally, the Encap feature adds extra cushioning and support. This plantar fasciitis athletic shoe is very comfortable and is suitable for different types of runners, including heavy runners and long distance runners. Pros: supportive, dual density foam collar, pigskin collar, Encap midsole that gives great cushioning, SL-1 feature that keeps the foot steady, mesh inserts for breathability, crash pad to absorb the impact force, fits true to size, classical look. Cons: high price, also the gym shoe is a bit on the heavy side. Brooks Women’s Addiction 10 provides superior support in the arch area and is also well-suited for bigger guys, for people who walk a lot on cement floors, and people with plantar fasciitis. This motion control running shoe is designed with strong protection against overpronation. The Brooks Addiciton 10 running shoe provides cushioning with the two comfort layers: DNA cushioning and the BioMoGo material that is fitted through the entire midsole. It features a thick layer of foam, especially towards the heel, providing good support for it and well absorbing the impact. The lightweight mesh upper offers good fitting and ample breathability. These workout shoes are perfect even for serious overpronators and people with wide feet. The shoe insoles also provide the needed support and will effectively correct the overpronation. Pros: optimum motion control, comfortable fit, good shock absorption, breathable, lightweight, durably, excellent support and cushion in the heel area, great for people with wide and over pronated feet, comfortable for walking and running. 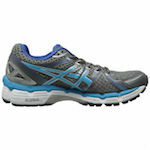 Asics Gel-Nimbus 15 that is also a good running shoe for plantar fasciitis is the newer model of the Gel-Nimbus 14 and is designed with improved cushioning and stability. This shoe has a flexible forefoot with extra GEL cushioning and deep flex grooves, which provides fast transitioning from heel to toe. With all that cushioning the Nimbus 15 is perfect for plantar fasciitis runners and is well-suited for everyday training and long runs. In the upper there’s a generous amount of memory foam, which gives it a more plush feeling. 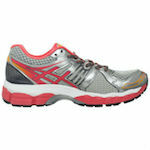 The Gel cushioning in the heel also provides good support for the heel. The midsole has a dual layer of white molded EVA foam. 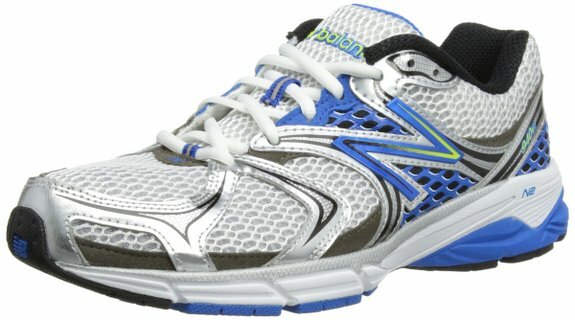 These are great plantar fasciitis running shoes for those with knee or back pain, and also for heavy runners that are looking for a lot of cushioning in the workout shoe. Pros: plenty of cushioning, good arch support, upper with plenty of memory foam, flexible forefoot, deep flex grooves that provide a fast transition. Asics Gel-Kayano 19 is another one of the most comfortable shoes for plantar fasciitis and heel spurs with serious support for the heel and good flexibility of the foot. The features of the athletic shoe are aimed at the runner who has a high level of arch flexibility or pronation. 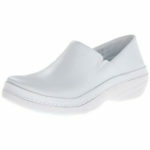 It offers an amazing fit and feel, with tremendous comfort for the foot. It also provides a good level of softness for the overpronating foot. In the midsole, it features a premium SoLyte foam, which gives a well cushioned but not overly soft feel. In the forefoot there are three Gel pods and one more larger unit in the heel. The deepened flex grooves provide smoother transition with improved forefoot flexibility. The construction of the workout shoe provides a customizable fit for different foot shapes. The Kayano 19 has numerous overlays that help the upper to retain an excessive amount of the heat. 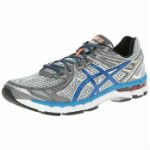 Another benefit of these running shoes is the reduced weight for a more comfortable run of any distance. Pros: serious support for the arch, premium cushioning, improved fit, plush materials, deepened flex grooves for smoother transition, generous toe box, out-of-the-box comfort, no break-in period, comfortable upper, high stability, lightweight. Cons: Upper material is not very breatable. 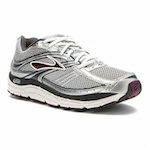 The next best athletic shoes for plantar fasciitis are from the Brooks brand. 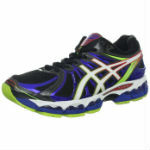 It’s also a premium cushioned gym shoe with great smooth transition. The softness is provided by DNA cushioning, which is present through the entire length of the midsole. The cushioning also gives great shock absorption and responsiveness. For more cushioning, the Glycerin 11 is designed with more midsole and outsole material instead of the plastic shank like in the previous Brooks models. This gives a better land down of the foot. The construction also features a caterpillar crash pad, which is divided up in the heel and extends through the midfoot and forefoot. The omega flex grooves in the forefoot slow the impact forces and provide a smooth natural transition of the foot. The seamless design of the upper reduces the weight of the workout shoe and eliminates irritation. 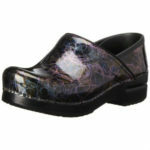 Overall, its great cushioning and durability make it a great choice for women with plantar fasciitis. Pros: roomy toe box, excellent, comfortable smooth ride, great cushioning and durability, plush upper with seamless comfort, and decent flexibility. 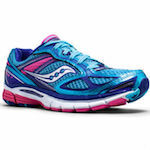 The best workout shoes for plantar fasciitis from the Saucony brand are the Kinvara 4. They are designed with the minimalist concept and its features provide an excellent running or workout experience. The sole unit features lightweight foam that is reinforced with hard rubber pads. The heel of the shoe has the new PowerGrid compound for cushioning and impact absorption that is designed as a lighter and more durable material. The PowerGrid system is the result of the Powerfoam material combined with GRID technology. It centers the foot and gives a powerful soft feel. For the lightweight and seamless upper, Saucony used the FlexFilm material. This flexible material allows having fewer layers in the upper, though provides the same strength and good adapting to different foot shapes. The Saucony Kinvara 4 provides just the right amount of cushioning that makes it a responsive workout shoe. The design makes you land more midfoot and gives a smooth transition and propulsion. The nine triangular lugs in the landing pad add to the propulsive feel of the shoe. Pros: lightweight, good heel cushioning with the PowerGrid cushioning, excellent breathability, inexpensive, and good design aesthetics. Cons: there were some complaints about the upper being not very durable. The reviews for the models Asics Gel-Nimbus 15, Asics Gel-Kayano 19, Mizuno Wave Alchemy 12, and New Balance 990V3 running shoes you can check in the above reviews section for the women’s running shoes for plantar fasciitis. They have the same construction features. The difference is in design. 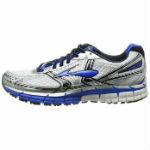 The Brooks Beast 12 is considered one of the top choices among the all pronation control athletic shoes. It’s a bit heavy, but firm, and provides a snug and cushioned fitting. The construction is loaded with features that provide amazing stability and support. The shoe is made from premium materials and provides impressive durability, which justifies its comparatively higher price tag. Like most motion control running shoes, the Beast also combines multiple midsole foam densities. In this workout shoe, Brooks uses its DNA cushioning technology that runs through the entire length of the shoe. This technology automatically and physically adapts the cushioning to the foot for each landing on the ground. The result is optimal balance and stability that is personalized for the runner and each of his steps. It features a biodegradable shoe midsole with the BioMogo technology. It’s a non-toxic natural additive that enables the midsole to biodegrade much faster than other midsoles, though it does not change the performance of the gym shoe. For better support and additional rigidity of the forefoot, the Brooks Beast 12 features Diagonal Rollbar Accel. 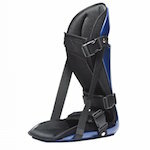 With this feature, the forefoot and heel are able to act independently. Overall, it’s one of the best running and walking shoes for people with plantar fasciitis, low arches, and excessive overpronation. Pros: high quality of materials, high durability, good traction, being a motion control shoe it provides great arch support, extremely flexible, full length adaptable DNA cushioning, wide and stable base, superior comfort, tough and hard wearing, suitable for heavy runners. Cons: relatively heavy and quite bulky. The last, but not least efficient, athletic shoe on our list is the New Balance M940V2, which is also well-suited for serious overpronators. It’s designed with cutting edge stability technology and premium cushioning, providing the advanced support and comfort for the long miles of running or a good long workout in the gym. To enhance the arch support, you can also use with them orthotics or insoles. The athletic shoe uses N2 material for cushioning in the heel, which is a responsive and durable low-to-the-ground cushioning technology. The stability and mid foot control are provided by a T-beam, which is a lightweight and flexible shank. It provides arch support and torsional stability in the shoe. 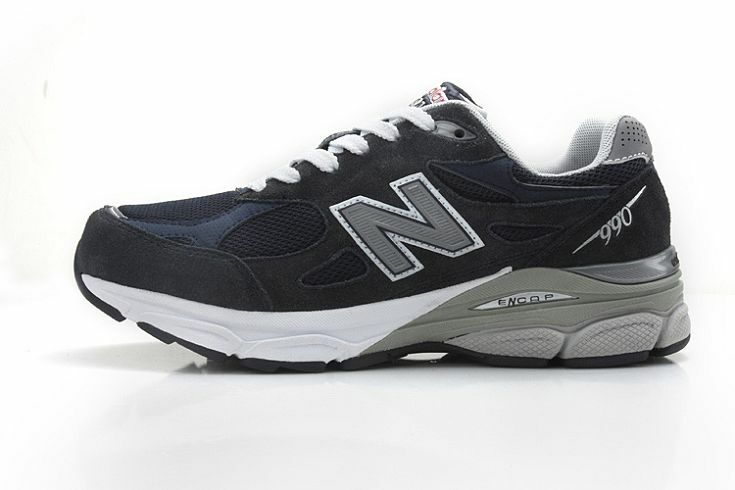 The New Balance M940V2 workout shoe also uses the Stabilicore system made from an injection molded engineered thermoplastic that provides medial support and smooth transition. Pros: flexible forefoot, good medial support, mesh upper gives breathability, great cushioning, midfoot stabilizing device, provides good stability and comfort, suitable for moderate to severe overpronators. 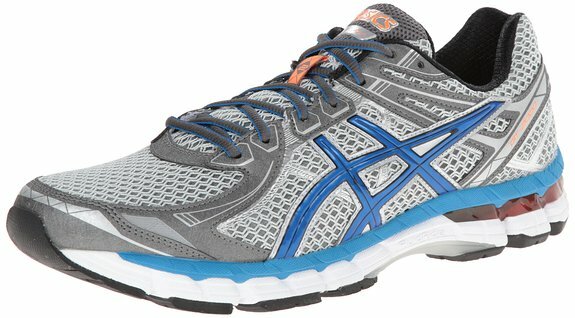 Asics GT 2000 2 are also the recommended running shoes for plantar fasciitis. 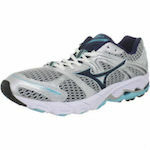 It also offers a good package of cushioning, support, and a comfortable upper. 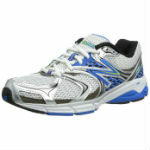 The workout shoe provides a good fit, plenty of plushness of the upper materials, and overall consistency of the ride. For the upper, it uses a spongy spacy mesh and welded and stitched-on overlays. The air mesh helps ventilation and flexibility. The collar lining is made of soft fabric with ample amount of foam stuffed in. This provides a good wrapping of the collar around the neck of the foot, giving you a uniform fit and feel. For the midfoot, the Asics GT 2000 2 uses molded synthetic leather and welds. The sole consists of five components. They include the top layer, Gel pads in the external heel, Gel in the inner forefoot, tri-density midsole foam, and a plastic shank. The heel material is hard rubber. The crash pads in it provide cushioned landings. The Gel cushioning is added to both forefoot and rear, which reduces the impact from landing. The vertical flex grooves enhance the gait efficiency. Any person with plantar fasciitis will benefit from the great cushioning properties of this workout shoe, as well as its reduced weight and exceptional durability. Pros: reliable stability, comfortable upper, roomy toebox, gel pad effectively supports the heel and ankle, suitable for runners with a mild pronation, comparatively light for a stability shoe. Cons: shorts laces, narrow fitting upper. 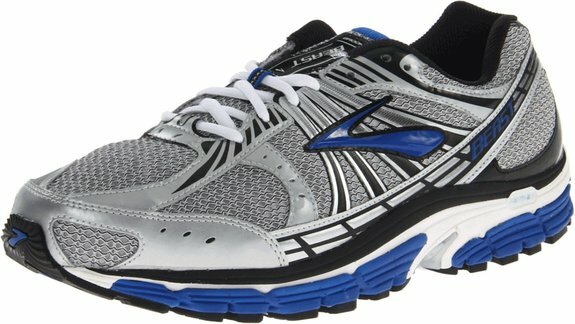 Brooks Adrenaline GTS 14 are minimal looking gym shoes, which also pack a lot of technology. It will provide you with comfortable support whether you are running or just working out in the gym. The sole unit features the patented heel and forefoot crash pad. Other components of the sole include BioMoGo that runs through the entire length of the sole, Omega Flex Grooves for maximum flexibility, Brooks’ DNA that offers full length gel cushioning, and the Progressive Diagonal Rollbar. The BioMoGo also adds cushioning and helps to reduce foot fatigue during long runs. The flex grooves, as well as the crash pad, also provide an easier transition from heel to toe, which results in more natural forefoot movement and smoother ride. With all these features of the workout shoe, the runner will have an efficient stride. The shoe provides a smooth heel lay down and at the same time provides maximum cushion and support, which are essential elements for correcting overpronation and preventing plantar fasciitis. Pros: roomy toebox, thermoplastic urethane arch shanks for additional support, flex grooves for good flexibility, progressive diagonal rollbar for stability, soft and breathable mesh, extended crash pad for full ground contact and smooth transition, DNA cushioning, plush upper fit, and new lacing system. 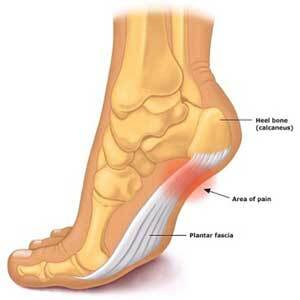 Plantar fasciitis involves pain in the bottom of the heel and is one of the most common orthopedic complaints. Plantar fascia is the thin ligament that supports the arch of the foot. It connects the heel to the front of the foot and aids you in walking. These plantar fascia ligaments usually act as shock absorbers. However, too much pressure on the feet can cause damage to them. As a result, the plantar fascia can become weak and inflamed. This causes the pain and stiffness of the heel. People who are overweight or obese are at a greater risk of developing plantar fasciitis since there’s increased pressure on the plantar fascia ligaments. The risk is also greater especially if the person has a sudden weight gain, as during pregnancy. Pregnant women often experience plantar fasciitis for short periods of time. It’s also common for long distance runners, people with an active job that involves long hours being on feet with a lot of standing, walking, or running. For runners, it can also be caused by sudden stretching of the sole or if you have changed the type of surface you run on, like from softer to harder terrain. Plantar fasciitis can also be caused by foot problems such as flat feet, high arches, or tight Achilles tendons. The tight Achilles tendon can affect the flexibility of the ankle, and as a result, can lead to damage of the fascia tissue. You can also check the best running shoes for flat feet that are the most popular models on the market this year. Simply wearing walking or running shoes that don’t fit well, have poor cushioning or provide poor arch support can also lead to plantar fasciitis. One more common cause is the overpronation (excessive pronation). Pronation is the inward rolling of the foot during walking. If your feet overpronate, then your foot rolls inward to a greater degree. The major symptom is the pain and stiffness that you can feel in the bottom of the heel. For some people, the pain can be dull, while for others sharp or can give a burning sensation from the bottom of the foot and extending outwards toward the heel. More commonly plantar fasciitis affects only one foot. However, some people also experience it on both feet at once. The pain is usually worse when you take your first steps in the morning as you get out of bed or as you stand up after a long time sitting or lying down. It can also hurt when you climb stairs due to the stiffness of the heel. You can also feel an increase in pain after prolonged activity, such as running. You might not feel during the activity, but right after you stop you may experience a sharp pain. First of all, for treatment what you wear on your feet really matters. A shoe with good arch support is the key. Wearing flimsy shoes can greatly delay the recovery. So start by changing your shoes. The shoes that are mentioned above are good choices to pick from. They all provide great support for the arch and plenty of cushioning with firm stability. Other ways to treat plantar fasciitis include wearing inserts, taping the arch of the foot, massage, regular foot icing, rolling and stretching the foot, wearing proper slippers for plantar fasciitis, or wearing a splint at night. Night splints are a proven method fro treating plantar fasciitis. It’s a type of brace for the heel that holds the foot in a flexed position and gently stretches the plantar fascia and foot muscles that relax while you sleep. This helps to reduce heel pain and minimizing that pain of the excruciating first step in the morning. You can run with plantar fasciitis, though it will be painful and prolong the recovery time. During the most acute phase of the plantar fasciitis when the pain is most severe, it’s advised to take some rest from the activities. During this phase, you can use other alternative forms of exercise, such as cycling or whatever else you would prefer that would not put that much pressure on the plantar fascia. After the acute phase, you can go back to running, hiking or whatever other exercises you’re doing, but it’s best to modify it a little. Start with short, slow paced runs on a flat surface in order to put less stress on your plantar fascia. The gradually you can increase the time and distance of running. The amount of time that it will take you to be back on the track with your regular running regime will depend on the degree of the injury. One of the most common reasons why people may experience heel pain is called plantar fasciitis. This is a condition that is so named as it affects a band of tissue between your toes and heel called the plantar fascia. It will usually occur due to a combination of wearing unsupportive footwear that does not provide enough arch support and the level of exercise that you do. It is a common complaint in particular amongst athletes. The main pain in this condition is felt closer to the heel than the toes and manifests as heel pain. Although plantar fasciitis is not a pleasant condition to have, it can be treated in just a few weeks. If you purchase the correct kind of footwear and you maintain a low activity level during your recovery time, you can expect a recovery of around 3-4 weeks, after which time, the severe pain that you had initially felt will have almost gone away. You should be wary of increasing your activity level too quickly, however. As plantar fasciitis affects the soft tissue in your heel, this will need enough time to repair. It normally takes around 6 weeks for soft tissue to completely recover. The most important feature to look for in the walking or running shoes for plantar fasciitis is good arch support. If you have plantar fasciitis, you experience the pain mostly in the heel area, so the shoe should also have substantial heel support and cushioning. Overall, look for the following features. Arch support. The most important feature to look for. Substantial cushioning. It will add to the comfort of the foot and will prevent any future damage. A solid heel counter with a good amount of support. Flexible toe box. This will help to remove pressure on the plantar fascia as you run or walk. Dual (or multiple) density midsoles. This will keep the arch at the right angle and will prevent the feet from rolling inwards. Good shock absorption. This feature should dissipate the force when you strike your foot onto the ground. This prevents any particular part of your feet getting the full impact. Remember, that the most comfortable doesn’t necessarily mean the best shoe for plantar fasciitis. It should come in combination with good arch support and should also cater to the particular characteristics of your foot. Also, looks here come secondary. Comfort and support should come first. When shopping for them, the best shoe brands that have the best running shoes for plantar fasciitis on the market are Brooks, Asics, New Balance, Mizuno, and Saucony. They provide a good variety of models that are designed with features to cater to people with plantar fasciitis. If you are about the purchase boots you might want to check Boot Ratings. The shoe should be wide enough so that your foot is able to move around but it should not go over the edge of the insole. You should also ensure that there is enough material at the top of the foot to allow you to pinch some of the material without the shoe feeling that it is tightening too much. The length and the width of the running shoe should allow for your foot swelling as it gets warmer, so your running shoes should be a little loose if you are trying them on when your feet are relaxed. Make sure that you measure both feet. Everyone has feet that are different sizes. One of your feet may be a millimeter shorter or narrower than the other, or some people can find far more noticeable discrepancies in their feet. You should try on the running shoe on the largest foot first and then ensure that it feels comfortable on the smaller foot too. It’s important that you don’t simply assume that you know the size of your foot. If you walk into a store and simply pick up the shoe that you think will fit, it is likely that you’ll end up with the wrong size because sizes can differ depending on the shape of the shoe. Make sure that you always try the running shoes on before you make your purchase. There are a number of reasons why you should have separate walking and running shoes. One of the main reasons is because walking and running require different groups of muscles and very different movements. The way in which walking and running shoes support your feet accommodate the different movements required for each exercise. In addition, running shoes can wear out relatively quickly depending on your size and the amount of running that you do. If you are going to be walking in the running shoes, you will find that the shoes will wear out far quicker. Running shoes wear out visually over time, but wear patterns also occur to certain parts of the shoe in particular the heel as it strikes the floor. When you are paying a lot of money for a good pair of running shoes, the last thing that you want to do is wear them out when you’re not even actually doing any running in them. You should ensure that you know what shape of foot you have. Everyone’s foot is a different shape and the kind of arch that you have. A good way of determining what kind of arch you have is to create a footprint. You can do this using a paper grocery bag and stepping on the bag whilst the base of your foot is wet. If there is a very thin line between the ball and heel of the footprint, then this suggests a high arch. If there is a wide connection between the heel and ball of your foot, then it is likely that you have a flat foot. If there is a medium sized curved line connecting your heel and ball, then you probably have a normal arch. Having shoes with the correct arch support will ensure that your feet are well supported whilst maintaining optimum posture. The arch has to support a major amount of stress to the sole. If you don’t have the appropriate support beneath the arch of your foot, you can develop serious foot problems that could even lead to a disability. The amount of toe box room that you need for running shoes depends on whether the end of the shoe is pointed or rounded. If the front of the shoe is more box line in shape, you should ensure that there is around an inch of space available. This will allow your toes to move forwards naturally as you run without your toes scraping up against the front of the toe box. If the running shoes are more pointed in shape, then you will need to leave more space to compensate for the outer toes. Whilst the ball and the heel of the foot should fit comfortably without slipping and without the shoe being too tight, it is important that your toes have the freedom to move around. You should try the shoe on before you purchase it so that you can be sure that the shoe will fit well. The main thing that you should remember about toe box room when you are choosing running shoes is to ensure that the toes do not touch the front of the shoe. Eventually, your running shoes will wear out. The more wear that your shoes are subjected to, the less effective they will be at protecting your feet as you run. For this reason, it is important to remember to replace your running shoes often. The recommended amount of running distance that you’ll be able to do before you need to replace the shoes is around 450 to 550 miles. When you purchase the shoes, it may be a good idea for you to start to measure how many miles you run. Thanks to tracking apps, these days it is easy to keep track of how much distance you have ran over time. If you run on harder terrain, you will need to replace your shoes more frequently. This is because your shoes will absorb more impact from the running surface than if you were running on softer terrain such as grass. You should make sure that you avoid running in worn running shoes. Whilst you may be tempted to make your shoes last a little bit longer, the damage that can be caused to your pelvis and joints is not worth the money that you will save. Don’t ignore the plantar fasciitis condition, as it can develop into chronic heel pain. In the long term, it can change the way you walk and result in pain also in knees, hips and back. One of the basic recommendations for treating plantar fasciitis is wearing walking or running shoes that have sufficient arch support. If you are also looking for good shoes for plantar fasciitis for your nights out or other formal meetings, check out our article on the best dress shoes for plantar fasciitis. For tennis players, there’s also a useful page with a guide on best tennis shoes. And for just casual everyday shoes, we recommend you to check our top choices of flip flops. If you are a nurse and are looking for the shoes that will provide you with the most comfort, support and cushioning, we’ve also prepared a comparison of good shoes for nurses. The models that are listed above are some of the best running shoes for plantar fasciitis. If you have more acute pain from plantar fasciitis, you might switch to walking for some time. These products also make great walking shoes for plantar fasciitis. They are designed with features that not only provide a comfortable fit, but also great arch support and decent stability. If you don’t have plantar fasciitis but have flat feet or high arch, which are can potentially lead to plantar fasciitis, you can check our other guides of top products for those conditions.